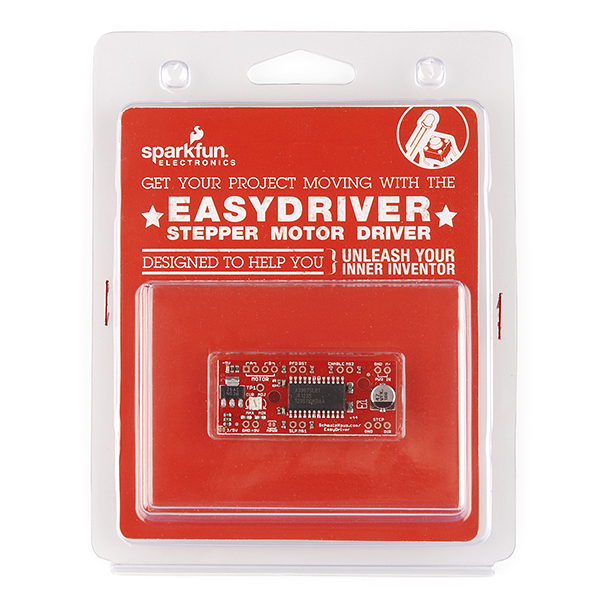 This is the same product as our EasyDriver Stepper Motor Driver. The difference is this version comes in fancy clamshell packaging meant for our distributors that need it. Regular customers are welcome to order, but we want to limit the amount of extra packaging finding its way into the trash heap. I am having terrible problems with high currents and Easydriver and already fried two of them (with sparks and smoke coming out of the main IC and the chip getting a huge bump from the "explosion"). 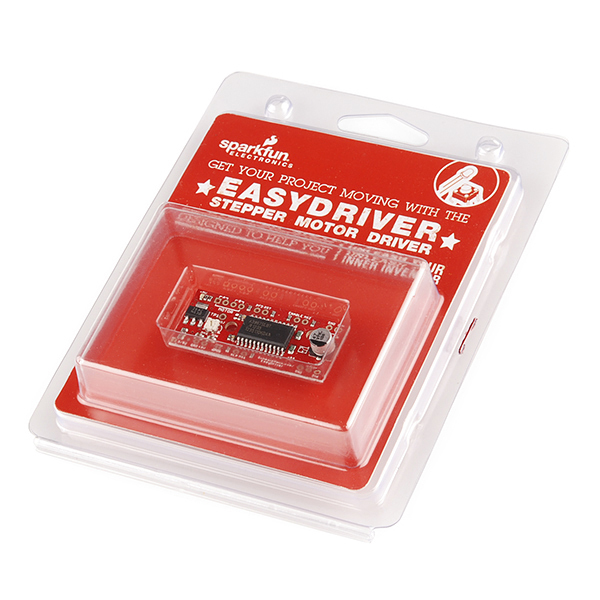 both are related to excessive current requirements but I thought EasyDriver limited the max current to 750mA irrespective of motor demands or PSU supply. Does it need any current restrictor and why (since other drivers do not need this)? If it does, any suggestion would be appreciated. In both cases, I used 24V 1.6A PSU and motor was either 5 or 24V with around 1.2 amp per winding. They both worked fine without a load but, under a load (as it drew more current - I assume) the Easydriver blew up. The motor will pull as much current as it needs. If it pulls more than 750mA through the Easy Driver you will blow the Easy Driver. 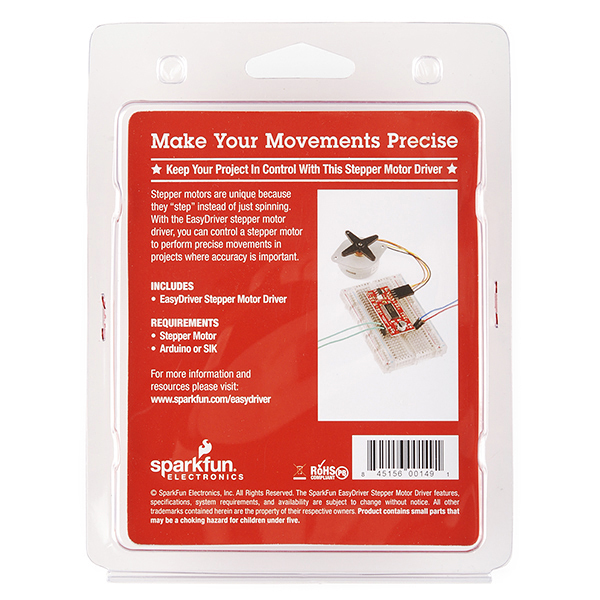 For a stepper that uses 1.2A I would check out the Big Easy Driver. The boards have thermal protection, but trying to pull more current through them will fry them.